Chicago-based comic-book artist Chris Ware (who we are big fans of) was commissioned by Fortune magazine to create a cover for their May issue. The end result, though, was rejected. 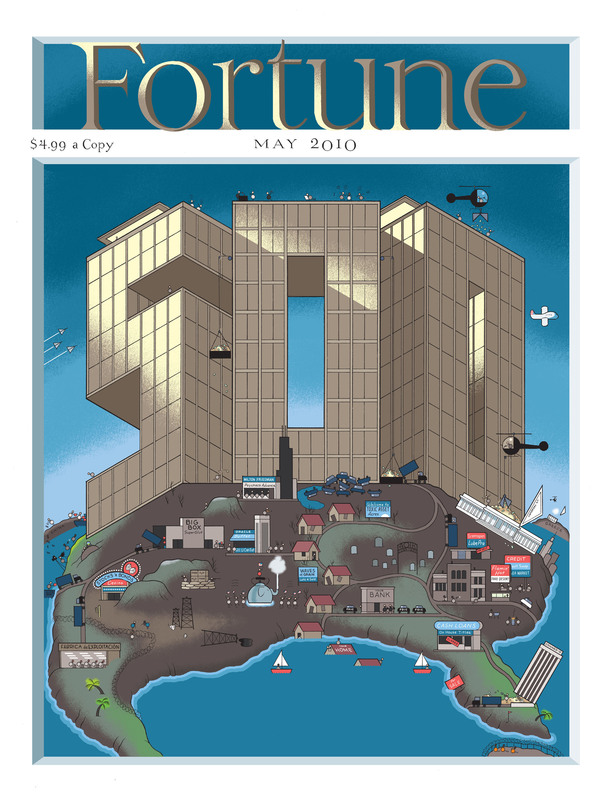 It seems a few of the images on the cover - including Guantanamo Bay prisoners, Mexican factory workers, and a few potshots at business execs and money-grubbing politicians - were too much for the kids at Fortune. And yet we agree with Fishbowl NY's take that the cover is "hilarious, beautiful, meticulous." We've reached out to Fortune for any comment on the cover but haven't received any response yet. Check out a few excerpts below and all the glorious detail in the high-res version here.